Get into the March Madness spirit! 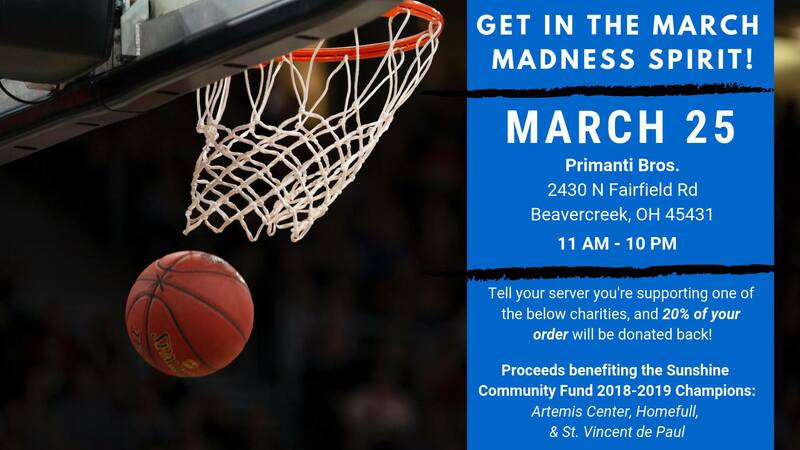 Gather some friends, reminisce about your once perfect bracket, and dine for a good cause on Monday, March 25th at Primanti Bros.! 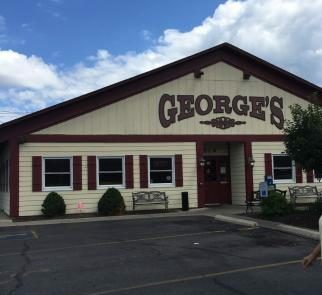 From 11 AM – 10 PM, 20% of dine in AND carry out orders will benefit Artemis Center, Homefull, and St. Vincent de Paul Society Dayton who are the three 2018-2019 Wright-Patt Credit Union Sunshine Community Fund Champions. You must mention one of the charities in order for proceeds from your order to be donated back! From 5 PM – 7 PM, you will also have the opportunity to meet the Sunshine Community Fund Champions and learn more about how they serve the Dayton community!